Nikky was a complete bombshell in her Nouevelle Amsale dress from LaSoie Bridal. 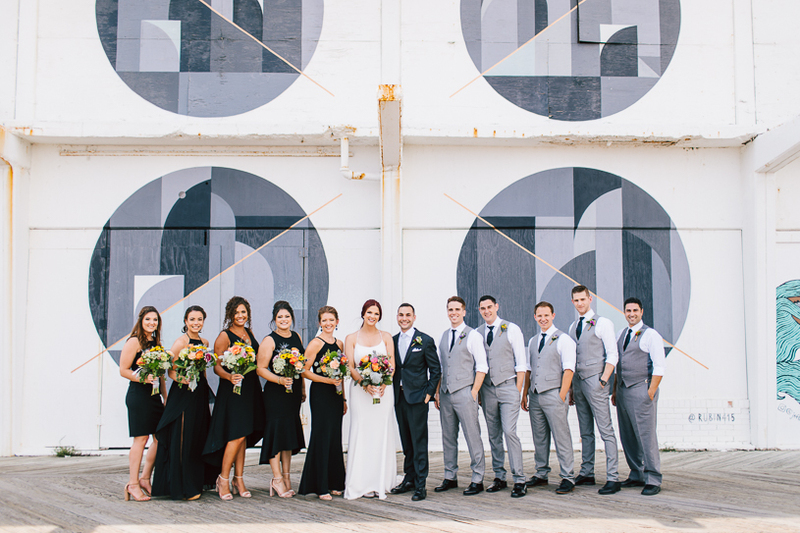 All of the florals were by Wegmans and added the perfect pop of color against the bridesmaid’s chic black dresses. Kim at Details Made Simple kept the day running smoothly and executed the couple’s vision flawlessly. 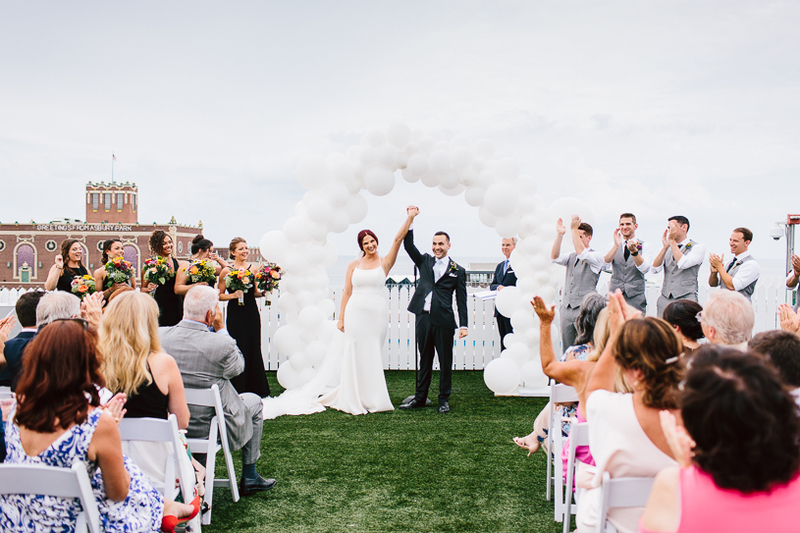 The sky was the perfect backdrop for Sam and Nikky’s epic balloon altar during the ceremony! The Chocolate Carousel made their cake and Tom from LoveSick provided the perfect playlist to keep everyone dancing all night. We’re almost positive Sam never stopped dancing! He’s probably still dancing right now.